Remember how you started following your least favorite cousin on Instagram at your last family reunion, because they asked you to do so right then and there? There’s now a way to scrub your feed clean of their inane posts, without ever letting them find out. 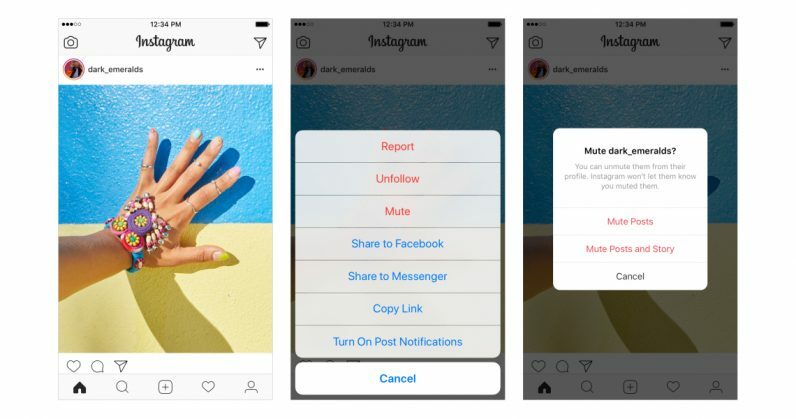 Instagram is rolling out a new Mute feature that prevents people’s posts from showing up in the app – without requiring you to unfollow them. Just tap on the menu button at the top right corner of a post from the offending user, and tap Mute. Their posts will no longer populate your feed, and they won’t be alerted that they’ve been muted. It also works with Stories, and you can mute from the menu there as well. You’ll still be notified when you’re tagged in posts or comments by that user, though. Besides those folks that you just can’t erase from your life, this will also come in handy for those profiles that are posting about things you don’t care about for a certain period of time, like your selfie-loving mate on vacation, or a brand attending an industry event. The feature is rolling out over the coming weeks, so it might be a while before it shows up on your device.